This is the first-year scholarships were awarded in four categories, acting, singing, dance and musical theatre. The twelve finalists, three in each category, had the chance to show off their talent in front of a live audience and impress a panel of tough judges. 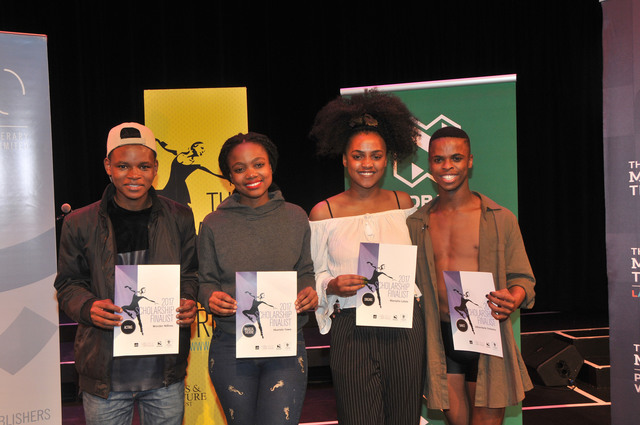 Each winner will receive R50 000 to study their performing arts subject at any tertiary institution in South Africa, as well as the chance to be represented by Canvas C.A.M. Talent Agency. 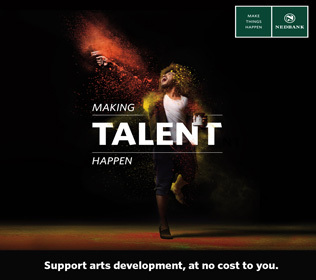 Tobie Badenhorst, Head of Sponsorships and Cause Marketing at Nedbank, is excited to once again be part of giving young artists the chance to pursue their dreams. “Nedbank’s brand essence is money experts who do good and this has everything to do with why we fund the Arts and Culture Trust and these incredibly important performing arts scholarships,” he said. Wonder Ndlovu (18) is based in KwaZulu-Natal and hopes to become an international film actor. His love for acting started in his primary school years where he competed in school competitions, theatre community productions, road awareness campaigns and latterly film productions. Mampho Letsie (18) was born in Aliwal North and has loved music all her life. Being a rather shy person, she finds using music a good way to communicate and express herself. Sithembele Dotwana (18) is not only a leader, but an outstanding dancer. Sithembele believes that dancing is not just a hobby as he is living his dream. He is Head of the SRC at Norman Henshilwood High School and dances for the Africa Ablaze Dance Company which is led by Glenda Jones. With five years’ experience, Sithembele takes inspiration from the likes of Bridgette Reeve, Nastasha Buratovich, Roxy Levy, Natasha Rhoda and Wentzel April. Sithembele strives to better his dancing skills and wants to inspire the younger generation. Hlumelo Yawa (18) is a talented individual who manages the triple threat with ease, loves people and is quite comfortable on the stage and in a leadership role at school. The Arts & Culture Trust (ACT) is South Africa’s premier independent arts funding and development agency. The primary aim of ACT is to increase the amount of funding available for arts and culture initiatives, and to apply these funds to innovative, sustainable projects that make a meaningful contribution to society. Through structured funding programmes, ACT provides support for all expressions of arts and culture, including literature, music, visual art, theatre and dance, and the support extends to festivals, community arts initiatives, arts management, arts education and arts administration. Follow ACT on Twitter (https://twitter.com/actorgza or like the Trust’s Facebook page (https://www.facebook.com/TheArtsandCultureTrust). The Dramatic, Artistic and Literary Rights Organisation (DALRO) is a multi-purpose copyright society that collects royalties for the use of copyright-protected works on behalf of authors, playwrights, publishers and visual artists, which it then distributes back to the correct copyright-owner. DALRO celebrates its 50-year Jubilee as a custodian of copyright and an administrator of literary and artistic intellectual property. DALRO’s main areas of operation are reprographic reproduction rights (photocopying from published editions), public performance rights (including stage rights for book musicals and dramas) and reproduction rights (whether for publishing or copying) in works of visual art. For more information, please click here (http://www.dalro.co.za/). The Market Theatre is renowned world-wide for brilliant anti-apartheid plays that have included Woza Albert, Asinamali, Bopha, Sophiatown, You Strike the Woman You Strike a Rock, Born in the RSA, Black Dog – Inj’emnyama, as well as the premieres of many of Athol Fugard’s award-winning dramas. The Market Theatre’s history is intertwined with the cultural, social and political struggle for freedom in South Africa. For more information, please click here (http://markettheatre.co.za/).